Riddles are a great way to get kids thinking logically, testing predictions, using math and even collaborating. They're fun and often quite challenging. Many riddles sound confusing at first, forcing students to think about ways to isolate information or simplify a problem. These are useful skills for all problem solving. 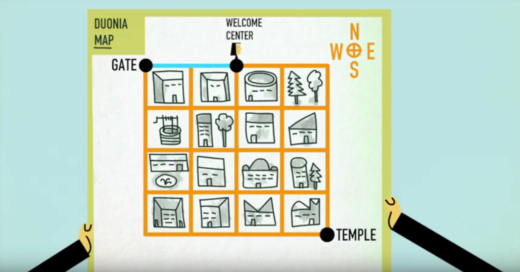 TED-Ed and its educator contributors have put together great animated riddles that make the presentation of the riddle fun and walk through the solutions once kids have tried to solve them. In this puzzle students are intergalactic police trying to find rebels who are hiding out on seven faraway planets. Various rules govern how the police ship can move between planets and how rebels can move. Students have to figure out a sequence of moves the police ship can make that will guarantee they'll find the rebels before reinforcements arrive (the answer starts at 1:11). The solution also offers some problem solving tips that students can apply to other challenges. Students might also enjoy the bonus Harry Potter-themed video at the end of this video.